Lee Davision is a fly line designer and the owner of Ballistic Flylines. Lee is also the owner of Snake River Outfitters, LLC providing fly fishing guiding in Idaho. Lee is an international Spey casting competitor and a won the Senior Championship in 2015 and 2017 at Spey-O-Rama. In spey casting competitions, Lee frequently makes casts exceeding 150 feet in length. Lee hold the FFI Certified Master Casting Instructor and Certified Two-Hand Casting Instructor and is a teaches classes and workshops around the world. His knowledgeable writing, teaching and speaking abilities make him a popular addition to high profile fishing and casting events worldwide. 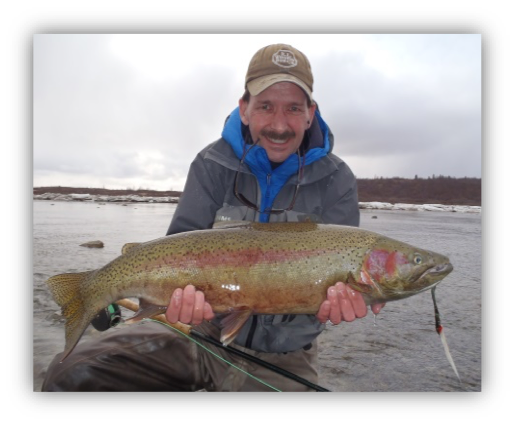 Mark Huber is a long-time resident of Anchorage and has many years of Alaska fly fishing experience. 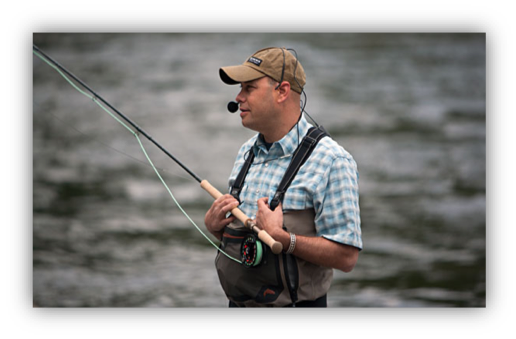 Mark is an FFI Master Certified Casting Instructor, FFI Certified Two-Hand Casting Instructor and serves on the FFI Casting Board of Governors. Mark gives presentations and workshops at national and international shows and events and provides fly casting instruction individuals and groups. Mark is a member of the R.L Winston Rod Company, Ballistic Flylines and Scientific Anglers Pro Staffs. Jake Zirkel operated Alaska Fly Water Guides for 14 seasons guiding on the Kenai Peninsula and fly out rivers. Jake has been fly fishing since the age of seven and spey casting for the last 10 years. Jake has taught spey casting in clinics and with his clients on the water for several years. Jake gave up guiding and currently represents G Loomis products in the Northwest Region. 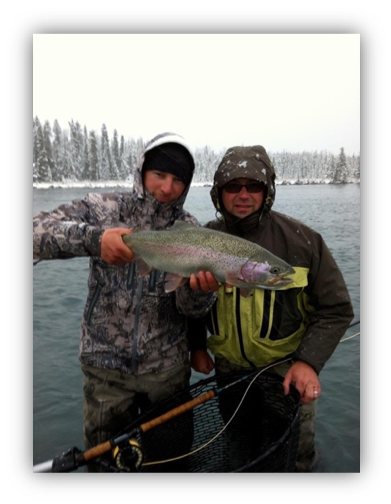 Dave Lisi is the Owner/Guide for Cooper Landing Fishing Guide, LLC located in Cooper Landing, Alaska. Dave also makes his home in Cooper Landing year around. Dave has a passion of fishing the Kenai River with two hand rods, swinging flies for the large trophy rainbow trout resident in the river. 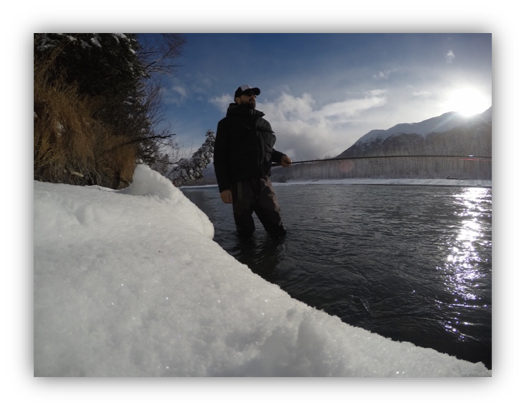 As you can see from the Dave’s picture, he fishes the Kenai River all season of the year. Jonathan Farmer has lived and fished in Alaska since 2008. He is a commercial/custom fly tier who designs and ties trout, steelhead and salmon flies for Mossy’s fly shop in Anchorage, OPST- Olympic Peninsula Skagit Tactics and Alaska Troutfitters in Cooper Landing. 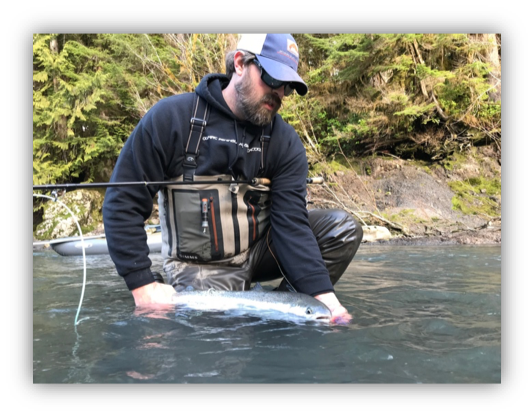 As an avid local angler, he has a passion for sharing his knowledge on skagit casting, fly tying and fly fishing in Alaska. George Cook is the Godfather of Alaska spey casting. 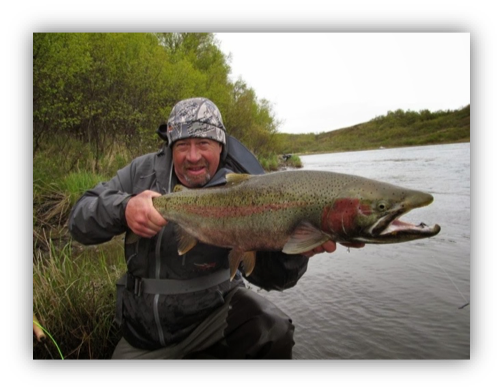 He has been on the forefront of the spey casting evolution in the northwest and Alaska. A native of Washington State, he now shares time between Washington and Alaska. A sales representative with Sage Rods since 1987, George also represents RIO, Redington and Sitka Gear. Early in his guiding career, George developed the popular Alaskabou fly series which are still popular today. George is always entertaining and is an engaging casing instructor and presenter. Eric Neufeld lives in North Bend Washington. He studied Psychology at the University of Colorado. While living in Colorado he worked as a fly fishing guide, fly shop employee and commercial fly tier. 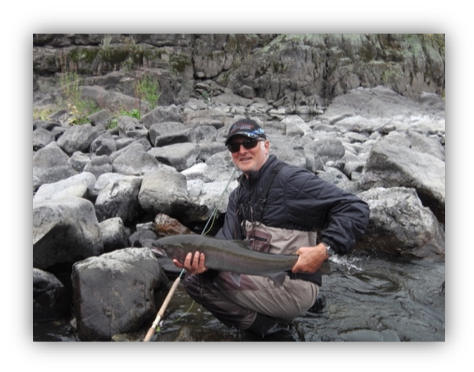 With a growing passion for fly fishing, Eric continued his guiding career at Alaska West Lodge, Mission Lodge and Sandy River Lodge and spent the winters guiding at El Patagon in Chile. In 2003, Eric retired his guide boots to become a fly fishing sales representative. Eric currently is the Pacific Northwest sales representative for Simms, Winston, Echo, Airflo, Bauer, Nautilus and Umpqua. 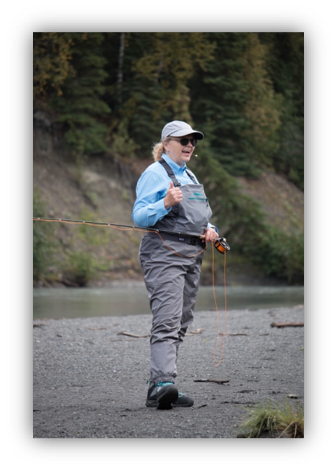 Jolynne Howard is a long-time Alaska resident with a passion for fly fishing and sharing her passion through teaching others. Jolynne has been active for many years with the Alaska Fly Fishers and presented at out 2016 Alaska Fly Fishing Fair. Jolynne is working towards successfully testing for her FFI Certified Casting Instructor designation.